It is our pleasure to introduce you to Master Mechanic Barrie West. We hope that you can find all the information you need to familiarize yourself with who we are, what we do and how you can find us. We promise to do our utmost to deliver our professional service in a very personalized manner and we thank you for wanting to learn more about us. This shop is conveniently located on Dunlop Street, one of Barrie's main streets, surrounded by places to eat and shop while you wait or run errands on your way out after your quick and timely appointment. Our Master Mechanic store is independently owned and operated by Dan Petersen. Dan has over 40 years experience as a shop owner and leaves a trail of satisfied and loyal customers wherever he puts up shop. At Master Mechanic Barrie West, we strive to be the only auto repair and maintenance choice for each of our clients by creating long term relationships which have been earned through consistent delivery of outstanding service quality in an environment which promotes trust, fairness and respect. It is this dedication that differentiates us from our competitors as we continually strive to deliver an outstanding customer experience to each one of our satisfied customers. "Catherine W Dan has been looking after my car for a number of years now. I used to take it to him when he owned the East York location. Now that he's in Barrie, I take my car to him there. I wouldn't trust anyone else! Dan is honest, fair and trustworthy and goes the extra mile to meet your needs. Always excellent service, knowledgeable advice and I know I'm never paying for more than I need. I highly recommend Dan and the crew at Barrie West Master Mechanic." "Fiona Maione My daughter is living in Barrie for school and when her car broke down I was at a loss as to who I should call. Based on his online reviews, I called Dan at Master Mechanic. I am so happy I did. Not only did he strongly suggest it would be unsafe for my daughter to drive it to him, he did everything he could to help get the car to him. She picked up the car this morning and not only did Dan come in under the estimate, he also gave her advice about oil changes etc. All in all an amazing experience with Dan and I couldn't be happier that my daughter has an honest and decent mechanic in Barrie. Thanks Dan!" "Barrie West Master Mechanic is my go-to shop. Most recently, Dan and Ryan got my car ready for winter with an oil change, a new wheel bearing, and alignment and a great deal on a new set of snow tires. Thanks guys!" $29.95 your next oil change at Master Mechanic Barrie West. "I highly recommend taking your vehicle to Dan and the crew at Master Mechanic. I brought them my 05 Cadillac i was considering buying and they were reasonably priced compared to all others who quoted me on the repairs needed. Thanks guys, i'll be back again 100%"
"I finally found a great place to take my cars. The owner Dan Petersen will take care of your auto problems without delay and with a caring attitude. When he drove my '98 Jaguar, he knew I needed new front rotors. He ordered the necessary parts right away and had my car ready for me the next morning. He definitely goes the extra miles for his customers." "I used to take my car to Dan when he owned the Master Mechanic in East York. I'd follow him anywhere! Now that he owns the Barrie West location, I take my car there. Dan is fair, honest and goes the extra mile to ensure you're taken care of. I trust Dan and his team completely with my car and know I will never be charged for something I don't need. I highly recommend Barrie West Master Mechanic!" "Dan goes out of his way to be helpful. He's honest and fair. He gets things done when he says he will. I can always count on him to take care of my car - I trust him completely. I highly recommend Dan and his team at Barrie West Master Mechanic. Excellent service. Friendly. Honest. Trustworthy. What more can you ask for!" "My daughter is living in Barrie for school and when her car broke down I was at a loss as to who I should call. Based on his online reviews, I called Dan at Master Mechanic. I am so happy I did. Not only did he strongly suggest it would be unsafe for my daughter to drive it to him, he did everything he could to help get the car to him. She picked up the car this morning and not only did Dan come in under the estimate, he also gave her advice about oil changes etc. All in all an amazing experience with Dan and I couldn't be happier that my daughter has an honest and decent mechanic in Barrie. Thanks Dan!" "The reasons why I use Master Mechanic: experienced staff including the owner Dan Patterson, respect for the customer, knowledgeable, friendly, have trusted them my car for over 10 years. Dan has always been forthright with what he is able to do. He is the only mechanic that I trust. 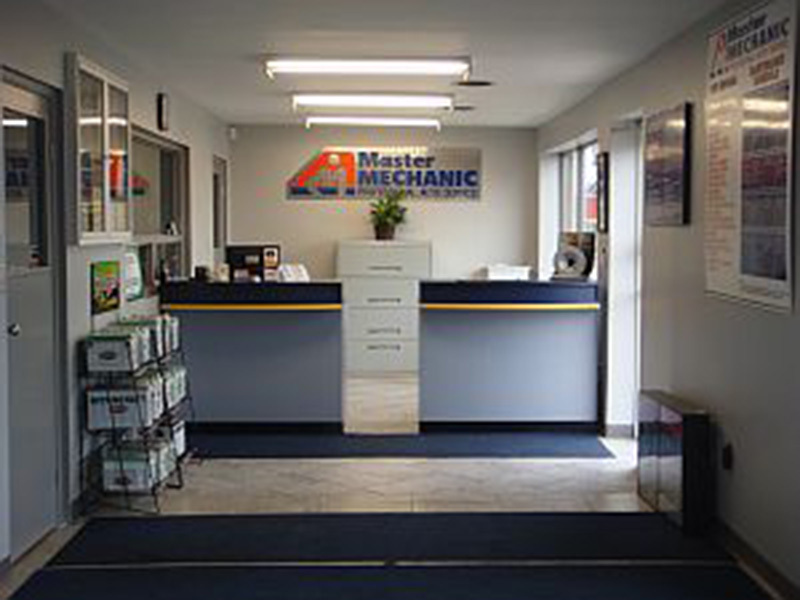 Thank You Dan"
"Just moved to Barrie recently and found Master Mechanic Barrie West. The environment and service from the first phone call was so friendly, Dan listened to me and was very accommodating to my busy schedule. I was so grateful he put my snow tires on on such short notice! I recommend them if you are looking for a great local mechanic to service your car." "I was having break issues this morning and needed immediate help. I phoned Dan at Master Mechanics Barrie West and was told they could see me right away. Not only was Dan incredibly friendly and knowledgeable, but their service was amazing. They very quickly diagnosed what was wrong with my vehicle. By the time they had explained it to me and ordered the part, the part arrived only a few minutes later. Just everything about my experience with Dan and his team was fantastic and I have definitely found myself a great local mechanic!" "I just wanted to write this email thanking Dan and his staff at Master Mechanic for an amazing job on my 2007 Jeep Commander. I brought my jeep in on a late Friday afternoon and it was immediately brought in and found to require a new alternator. Dan promised to have my jeep ready for 11am the next morning because there was no part to be found in Barrie. Dan went out of his way to find an alternator match 40 minutes away and he personally picked this part up and had it all installed right for the promised time of 11am. I have never experienced such a truly thoughtful thing done by any business in my life. Dan pretty much guaranteed my jeep back for my sons hockey tournament and he truly delivered. My son arrived at his first hockey tournament that day and went on to win his first hockey trophy. I have never been to a mechanic shop in the past that got the job done so quickly with a genuine care for customers. I will always promote Master Mechanic on 412 Dunlop St as the place to bring your vehicle. Thanks again Dan Petersen and staff for the most impressive car service I have ever experienced." "Our family was on our way north towing our tent trailer when the bolts sheared off the driver’s side trailer wheel and we ended up on the side of the road. As you can imagine having this happen anywhere can be dangerous, but on Hwy 400 at the beginning of the Canada day exodus out of the city was nerve wracking. The tow truck winched our trailer onto the flatbed and took us to Master Mechanic in Barrie. Ron spent considerable time checking with RV centres and local automotive shops to try to find the parts needed. He even sent one of his employees out to a few place to try to match the bolts. After finally finding the correct hardware, Ron patiently did the work necessary to get us back on the road again, even though it was past closing time. The location was excellent, the facility spotless, and the washroom and waiting area comfortable and clean. It made our difficult situation bearable. Thank you so much. " 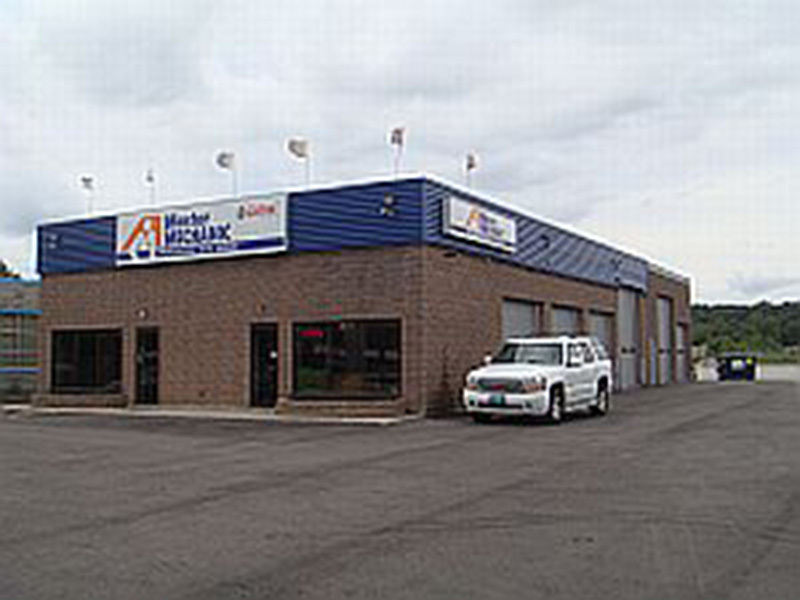 "I recently had my clutch replaced at MM at your Barrie West location. There was a problem with the parts and the clutch had to be replaced under warranty. I dealt with Ron Sheldrake on this matter. I was surprised at the level of customer service I received from Ron. I didn’t think there were any businesses left that really cared about the customer anymore. I stand corrected!Ron was amazing. I will be recommending MM to my friends." "Master Mechanic will get all my future business and I will be happy to refer you to family and friends. It always seemed that no shop in Barrie really understood what customer service is and that includes the dealers where I purchased the car. I can’t express how relieved I am to now that I have a place to take my car for HONEST QUALITY repair work at a fair price...this was the first time that I have had a customer service guy take the time to explain things without making me feel like I was wasting his time...just for the record this was the first time that I had such great service that I was prompted to write this letter...thanks again."